Anticipating a major blow to the country’s steel pipe industry, the South Korean government on Monday vowed to take all necessary measures against the US‘ moves to impose a selective raise in tariffs, warning it could take the case to the World Trade Organization. “When the US government makes a final decision to impose 53 percent tariffs on 12 countries, the Korean government will actively review complaining to the WTO,” said Kang Sung-cheon, deputy minister for trade during a press briefing. On Friday, the US Commerce Department made a set of recommendations in the so-called Section 232 investigations, which include imposing more than 53 percent tariffs on 12 countries, including Korea, imposing a 24 percent tariff on steel products from all countries or imposing a quota on steel imports from all countries, up to 63 percent of what those countries exported in 2017. Kang said that the key would be whether Section 232 that cites danger to national security is corresponding to the General Agreement on Tariffs and Trade Article 21 on national security exception. He said that selectively imposing trade restrictions would not be applicable to the exception specified in GATT. The deputy minister also vowed to continue actively outreaching the politics and industries of the US. To skepticism that such measures have failed to persuade Washington thus far in the intensifying trade tension with the ally, Kang said that the government nonetheless plans to reinforce its logic and subjects of its outreach activities. The Seoul government also explained that the US toughening sanctions on steel imports will be a major blow particularly to the steel pipe industry. “The Korean steel industry will be hit hard by the US trade restrictions. Among them, the steel pipe industry will be hit hardest,” Kang said. Korea’s steel pipe industry’s exports to the US account for more than half of Korea’s total steel exports to the US, which stands at around $3.2 billion annually. The steel pipe firms include SeAh Steel, Nexteel and Husteel. The share prices of the listed firms, SeAh Steel and Husteel, saw drops of around 5 percent on the day. “The US recommendation will be a burden on the local steel pipe industry. Because the local steel pipe companies mainly use local hot coil, the hot coil firms will also be indirectly affected,” said Lee Hyun-soo, an analyst at Yuanta Securities. Large steelmakers will feel a relatively limited impact because imposing high tariffs on steel products is nothing new to them and they can diversify their destinations. “Exports toward the US by large steelmakers including Posco and Hyundai Steel have already been decreased since high tariffs were imposed on their key products since August of 2016,” said Baek Jae-seung, an analyst from Samsung Securities. Posco’s steel products to the US were 0.6 percent of its total steel products, with Hyundai Steel at 4.7 percent last year. Also, the portion of steel exports to the US has gradually decreased, accounting for 11 percent of the nation’s total steel exports last year, according to HMC Investment & Securities. Moving to quell distress among investors, other analysts said the restrictions could be an opportunity for the local steel industry, citing the US safeguard imposed on steel imports in 2001 that ended up raising steel prices in the US market. “The sanctions may accelerate the restructuring of the global steel industry with China in the lead and ultimately lead to a hike of the steel price in the global market,” said Lee Jae-kwang, an analyst at Mirae Asset Daewoo. Last week, two US steel-related associations released joint statements, saying, high tariffs on foreign steel would raise steel prices in the US to the detriment of consumers. The Trade, Industry and Energy Ministry also has remained cautious over the potential impact. “As there are not only large firms but also smaller-sized companies, even a 1 percent raise in tariff is a blow,” said the ministry’s official. A day after the US Commerce Department’s announcement, Trade Minister Paik Un-gyu convened the meeting on Saturday to discuss how to respond to the US import restrictions together with top management from Posco, Hyundai Steel, Dongkuk Steel Mill and SeAh Steel. “The government will make outreach efforts with the local industries toward the US the government, council and the industry until the final decision is made,” said the Trade Ministry’s spokesperson. 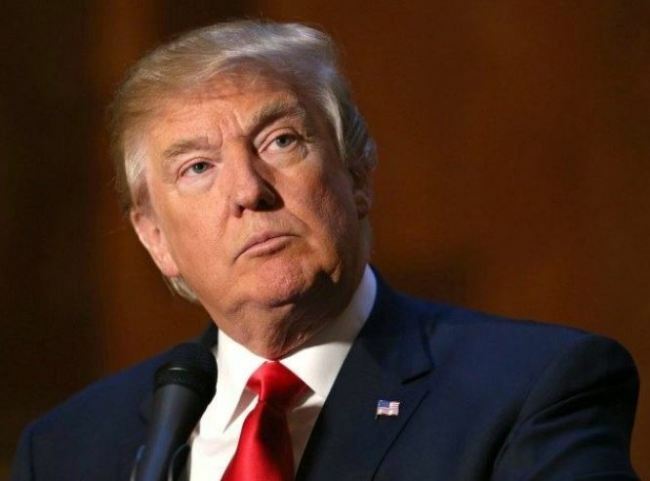 US President Donald Trump is to make a final decision on the recommendation by April 11.